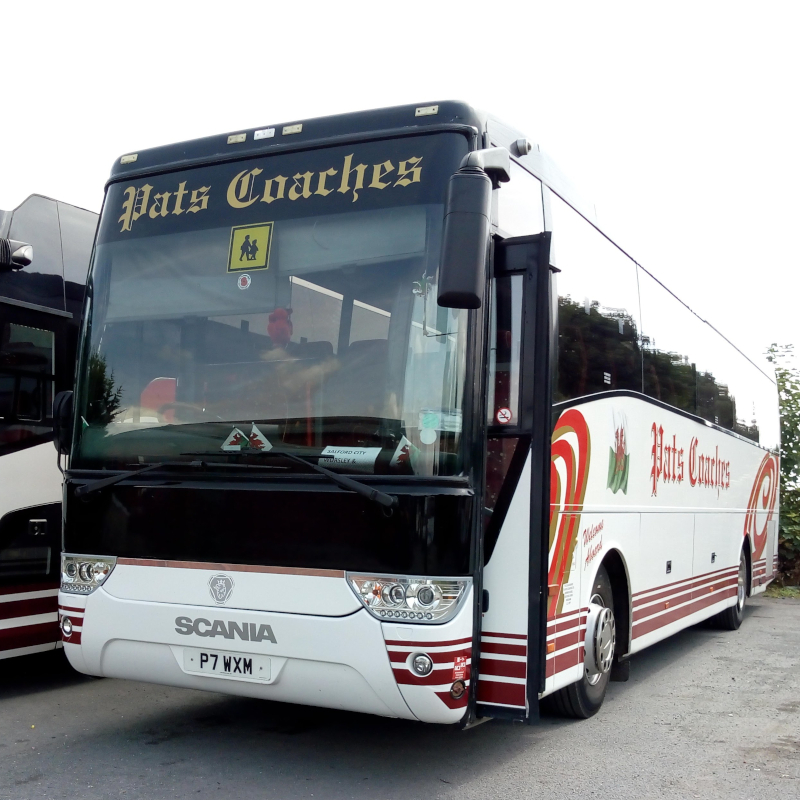 Pats Coaches prides itself on operating a modern fleet of coaches and with constant investment, each coach will have it's own set of features ranging from offering drinks service right the way to Live Television and Wheelchair lifts for the more specialist coach requirements. 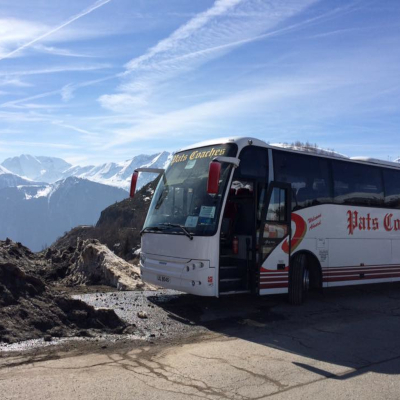 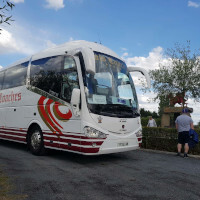 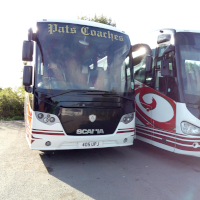 All coaches in our fleet are equipped with seat belts and many with reclining seats with ample legroom, colour co-ordinated interiors and full air-suspension combined with air-conditioning all to ensure your utmost comfort on any journey. 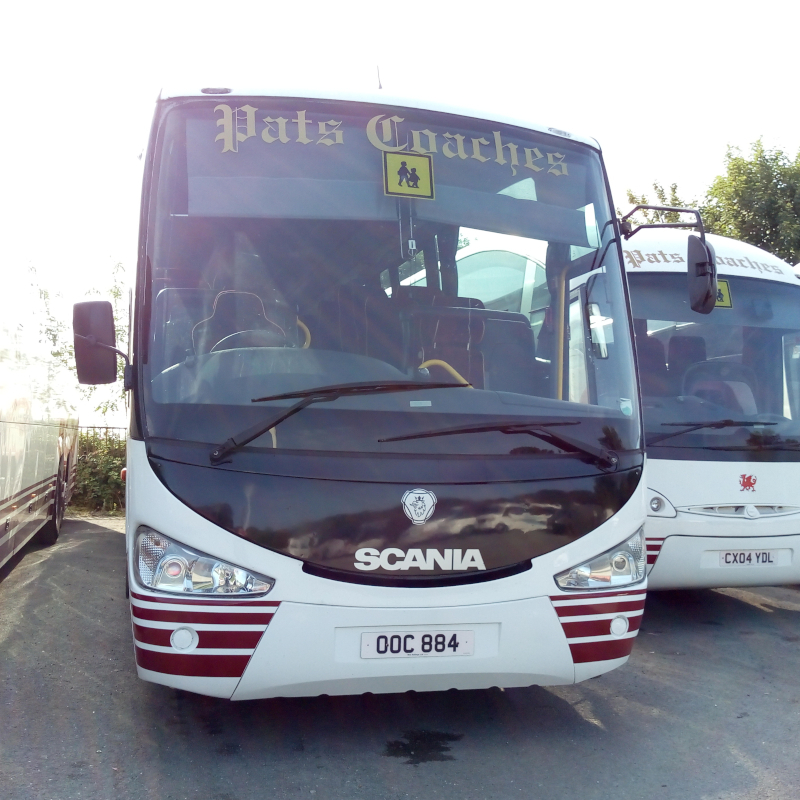 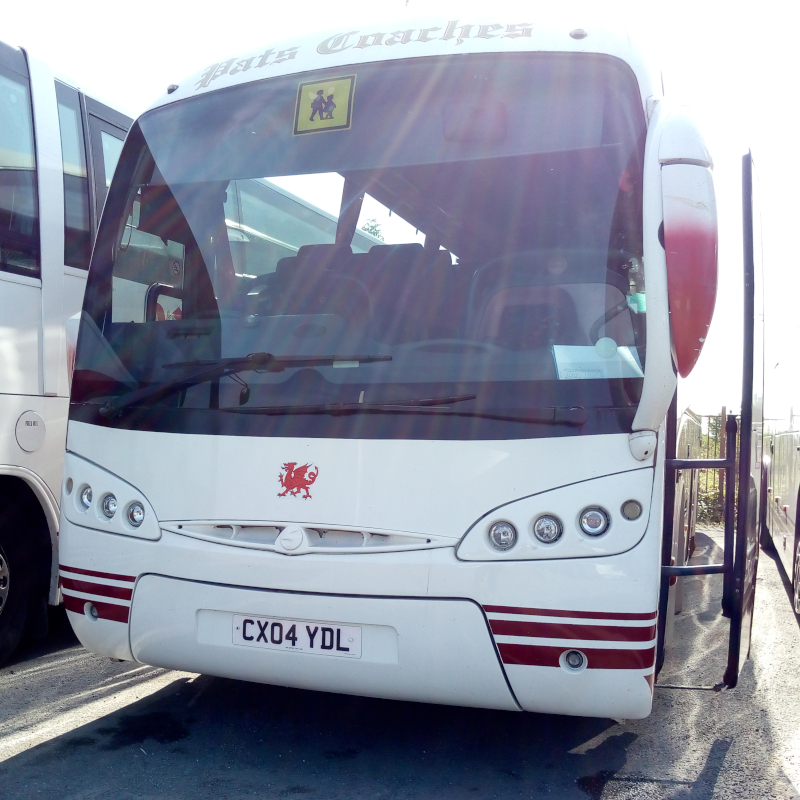 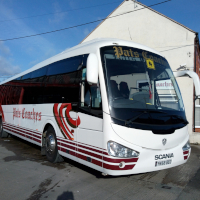 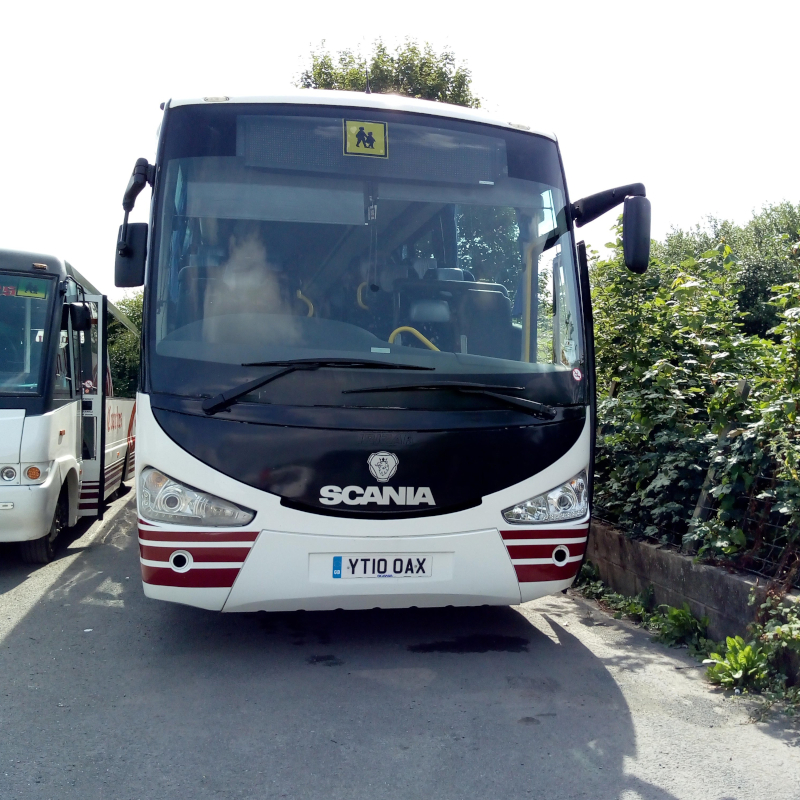 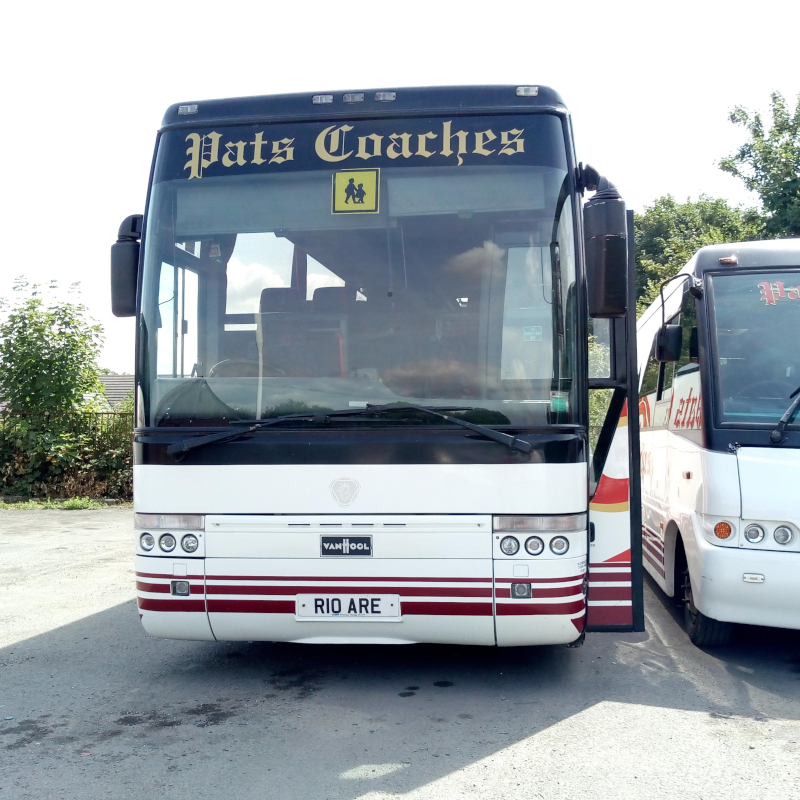 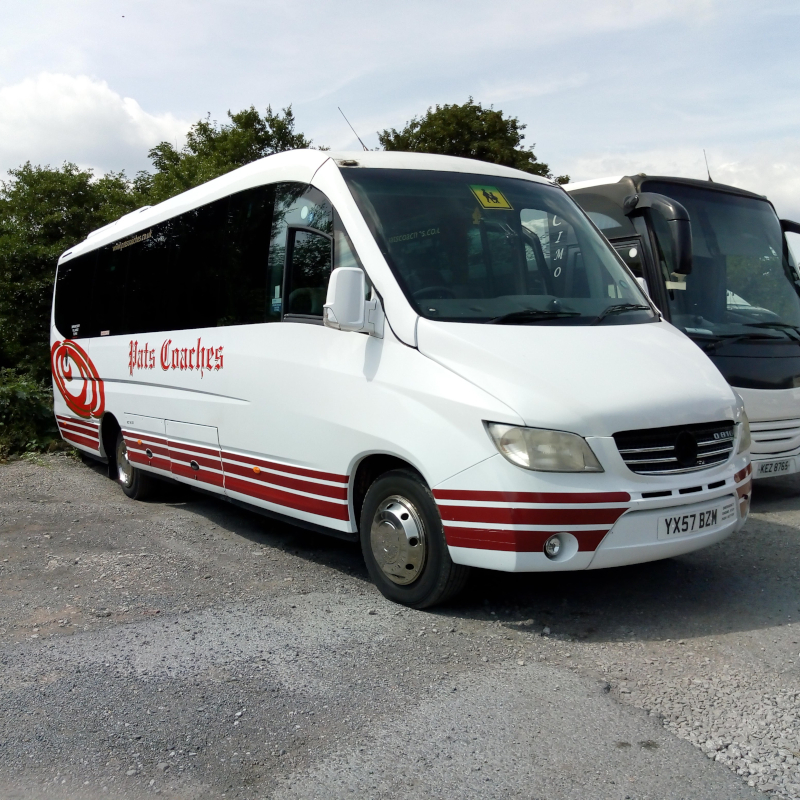 It's one thing to read about the vehicles that companies tell you they operate but at Pat's Coaches we believe that honesty is of course the best policy which is why we invite anyone who would like to see our fleet for themselves to our depot in Southsea, Wrexham to take a look. 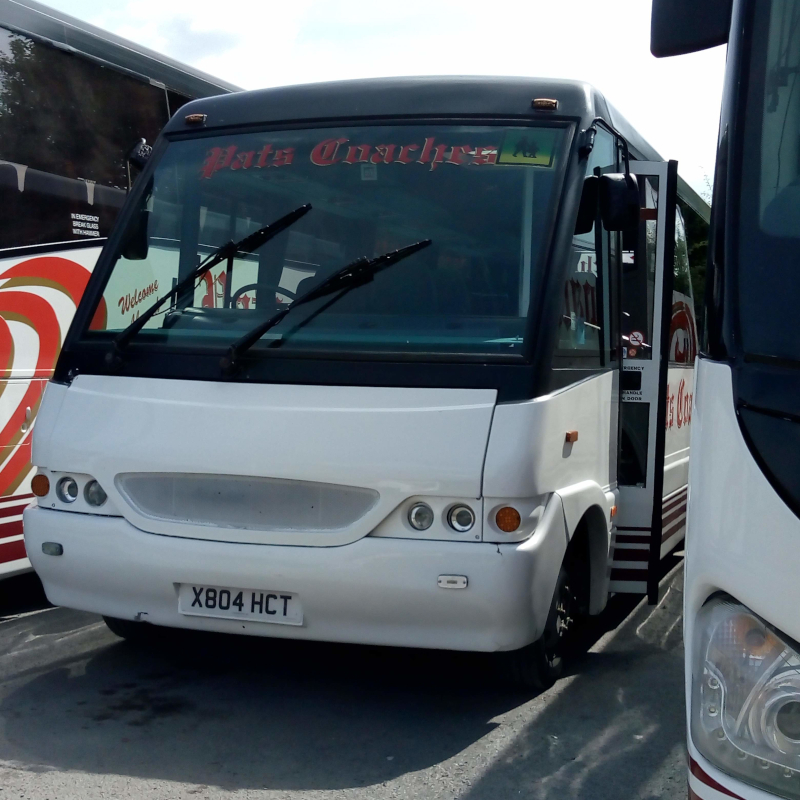 Our drivers also have an important role to play, with all are chosen for their skill and professionalism, many having been with us for many years, and are frequently requested by our regular clients. 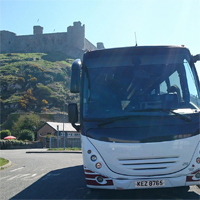 Their knowledge of destinations and routes throughout the UK and Europe ensure the success of your travel arrangements. 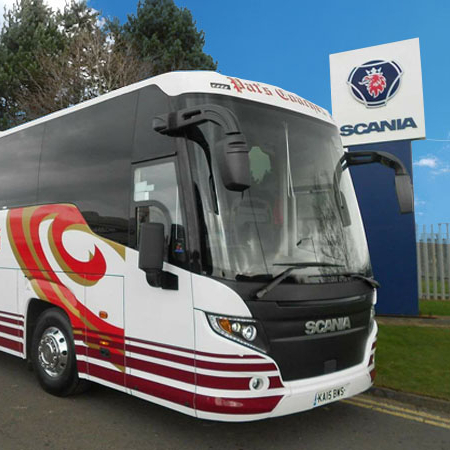 When necessary, they have instant contact with our offices and along with the knowledge of the office staff combined with the drivers, you are on to a winner. 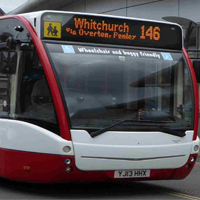 So why not pick the phone up and give us a call and allow us to help you? 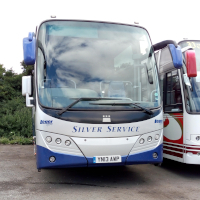 Our fleet list is currently being updated and more of our fleet are still yet to take pride of place on our website... Keep checking for updates! 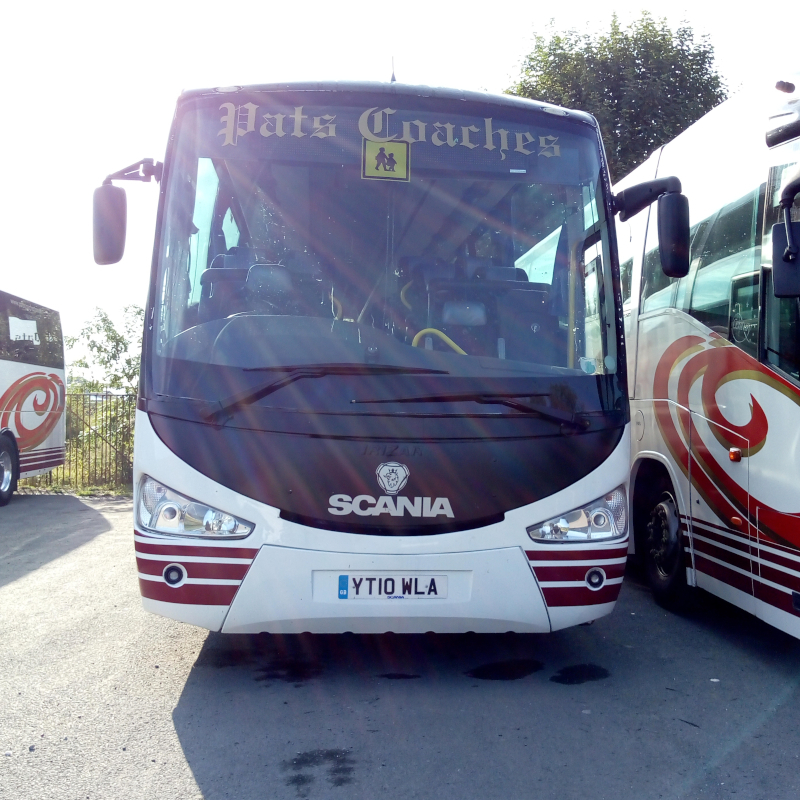 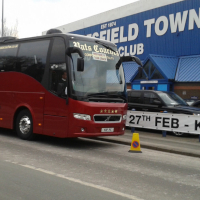 Soon you will be able to access vehicle information, seating plans and view gallery images of all our vehicles.